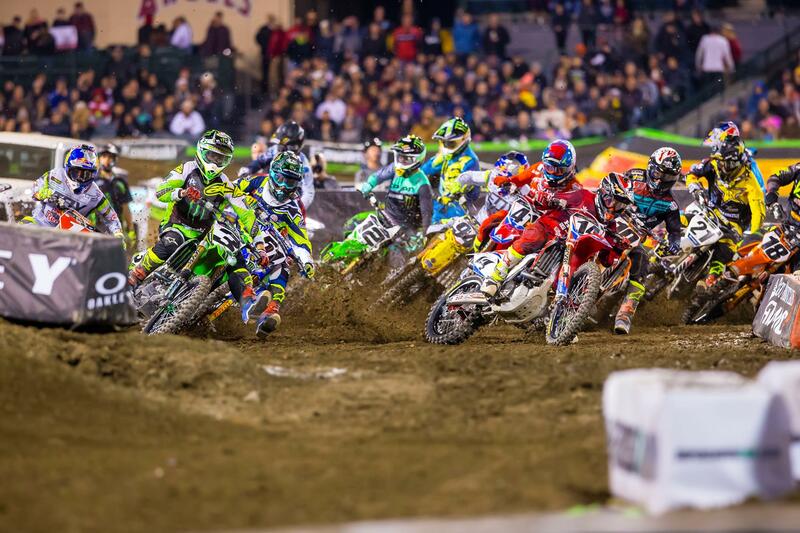 The 2017 Monster Energy Supercross season is set to get underway this weekend in Anaheim, California – and with an incredible line-up of talent set to take the gates, the indoor motocross series looks set for an exciting season ahead. The 17-round world championship, run over only 22 weeks from now until May, will once again see back-to-back defending champion Ryan Dungey start the season as the clear favourite, as he sets himself up to become a Supercross legend with a fourth title. Joined again by fast French teammate Marvin Musquin, the 2016 rookie of the year will be looking to improve on a debut season that saw him take five podiums and only just miss out on a debut win. But it won’t be easy for the KTM duo, with a strong field chasing them down - and with one of the biggest dangers coming from training partner and Rockstar Husqvarna cousin Jason Anderson, whose hard-charging style won him his debut win and many fans in 2016 – at the expense of making enemies through the field. Another man with a serious point to prove is Monster Energy Kawasaki’s Eli Tomac out for revenge after a difficult season last year left him bitter after the switch from Honda to Kawasaki didn’t gel for him in 2016. Working to improve his starts in particular for the new year, it could be that a year’s experience with the green bike makes the difference for him. But the man in his old seat at Honda could well be the biggest opposition to Dungey’s dreams of another title, as race winner Ken Roczen takes the 94 plate to the red bikes. Capable of winning and already looking comfortable alongside Cole Seeley at the HRC-backed team, the pair will certainly win races in 2017. Roczen laid down a big marker at the off-season Monster Energy Cup in October, too, demolishing the field in the Las Vegas spectacular to win on his very first outing for Honda, until a crash in the second ended any hopes of taking the overall win and it’s million-dollar prize. One rider with less pressure on his shoulders will be 250SX champion Cooper Webb, who goes into the season as one of the most anticipated rookies of recent years – and could well be a threat for podiums and even wins on the Monster Energy Yamaha alongside series legend Chad Reed. Now the veteran of the field, the Australian former champion won’t realistically be looking to get involved in the title fight – but can still take race victories. The season gets underway at 3am on Sunday UK time, and can be live streamed outside the US online.